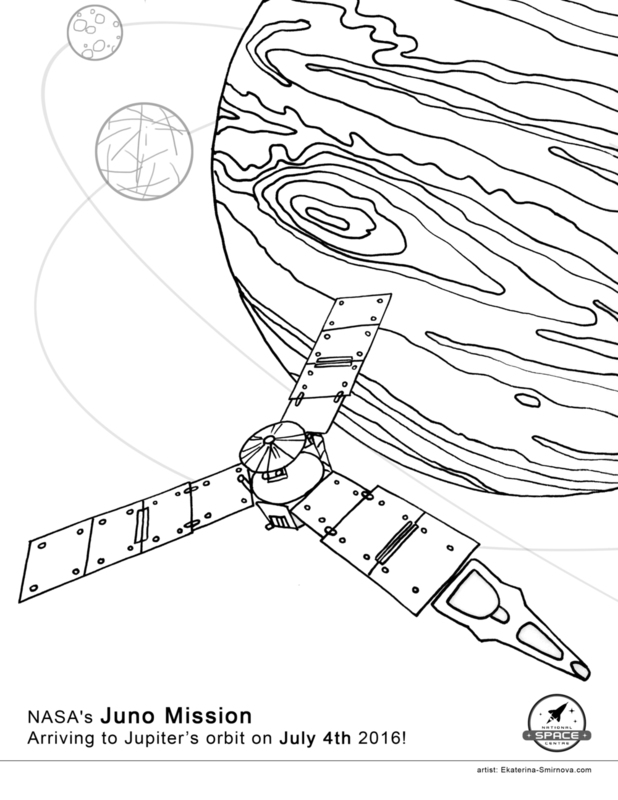 Designed for the European Space Agency's (ESA) science symposium and for the World Space Week at the National Space Center, UK, these coloring pages are free to download! Print them out and color to spark your creativity and calm your mind. 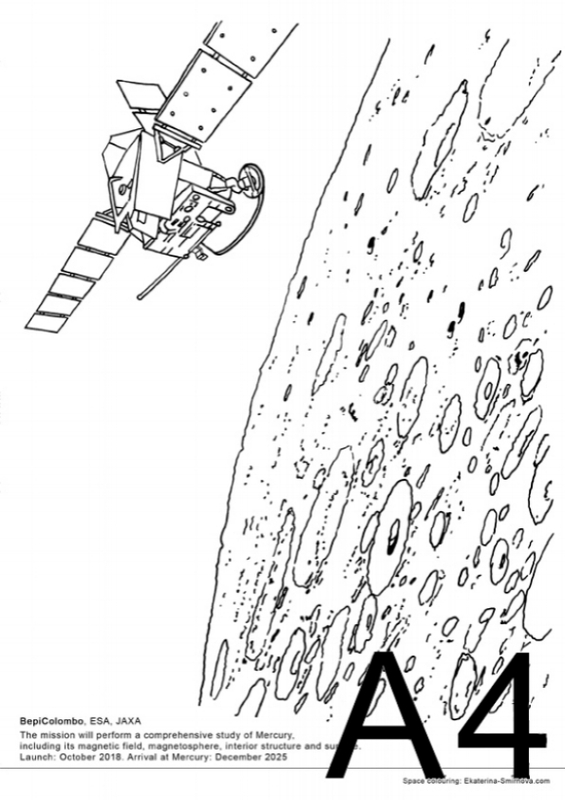 Mission to the Comet 67P/Churyumov–Gerasimenko. Launched on March 2, 2004. Robotic space probe was landed on 67P on November 12, 2014. Rosetta spacecraft will be landed to the comet on September 30, 2016. ISS is a habitable artificial satellite, in low Earth orbit. Its first component launched into orbit in 1998. 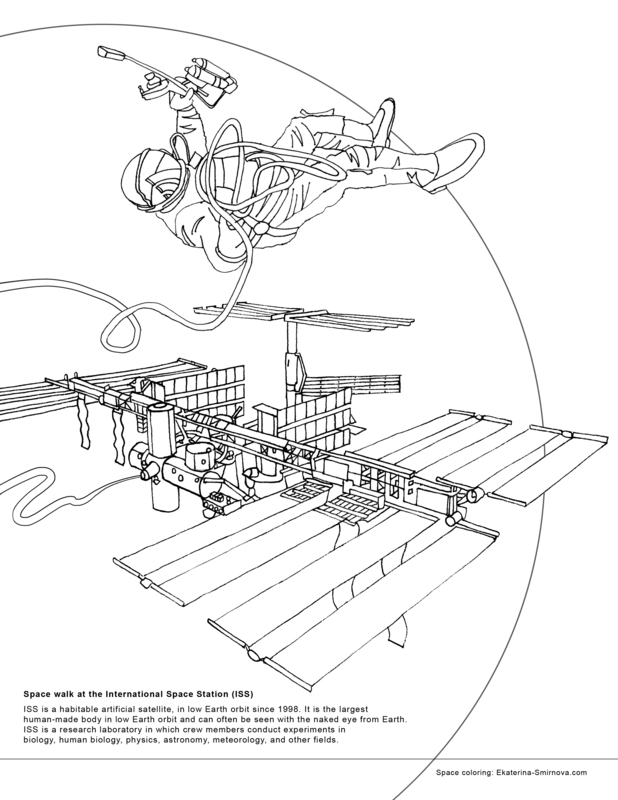 The ISS serves as a microgravity and space environment research laboratory. Participating space agencies: NASA, Roscosmos, JAXA, ESA, CSA. is the world's largest single earth observation program and directed by the European Commission in partnership with the European Space Agency (ESA). 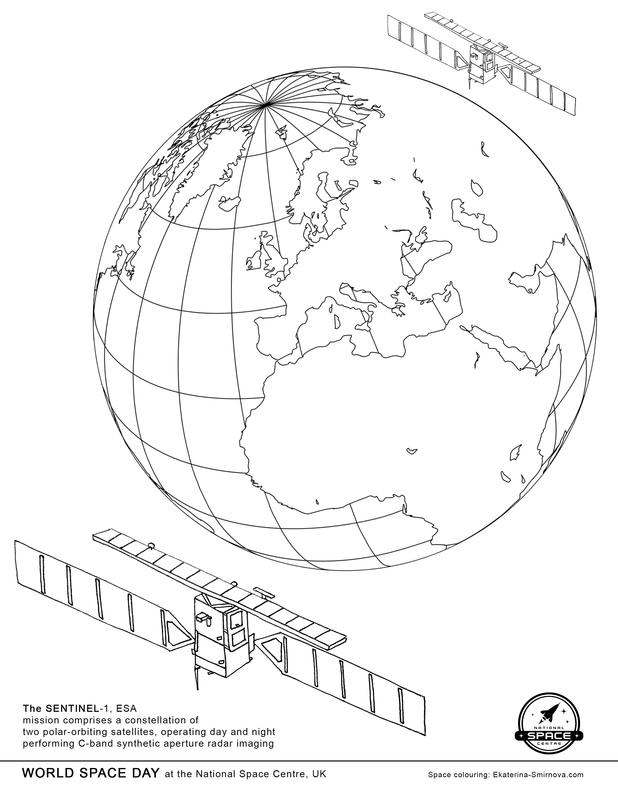 It aims at achieving a global, continuous, autonomous, high quality, wide range Earth observation capacity. Every summer, mid August, you can see an amazing show of falling stars. This year, 2016, it peaks overnight and early morning on August 11-12. Make your wish and wait for a star! The Origins, Spectral Interpretation, Resource Identification, Security, Regolith Explorer (OSIRIS-REx) is a mission is to study asteroid 101955 Bennu, and in 2023 to return a sample to Earth for detailed analysis. Launched on September 8, 2016.